Enjoy the Outdoors at Any Time of the Year! Let Us Help You Install the Sunroom You Deserve! 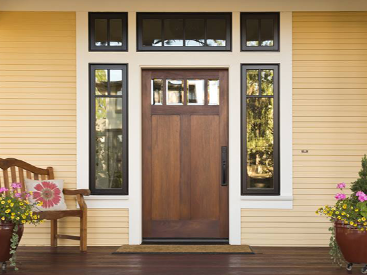 At Blue Springs Siding and Windows, we believe that no home is ever truly complete. There are always upgrades to be made and features to be added, and a sunroom installation is one of the smartest home improvement projects you can take on. 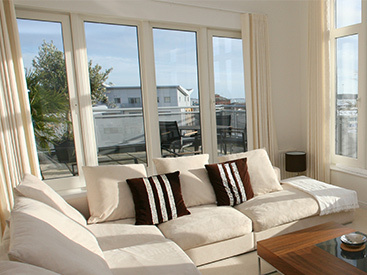 We install sunrooms from Crown Windows & Sunrooms, the world’s leading manufacturer of composite sunrooms. Continue reading below to learn more about why a sunroom is a great investment, and get in touch with us today to request a free estimate for your home! Provide you with a space for entertainment, work, relaxation, and more. Allow you to fill adjacent rooms with natural light. Let you enjoy your backyard at any time of the year. Add square footage to your home and increase its resale value. Do you love the outdoors? Would you like to enjoy them year-round while also adding value to your home? If you answered “yes,” then you should Contact Blue Springs Siding and Windows to learn more about a sunroom installation for your home! Not only do we install sunrooms using the best materials on the market, but we also back our products and services with unparalleled workmanship. At Blue Springs Siding and Windows, we proudly supply composite sunrooms from Crown Windows & Sunrooms. They are the world’s first, and only, vinyl and wood composite sunrooms with no exposed fasteners. They are also the only composite sunrooms on the market manufactured right here in the United States. When you invest in a sunroom from Blue Springs Siding and Windows, you’re supporting the US economy and helping domestic businesses grow! What Are the Benefits of Composite Sunrooms? Composite sunrooms feature glass panels that extend all the way to the ground. This means that you’ll receive the maximum amount of sunlight in your four-season room. Many homeowners are concerned that their sunroom will stand out and be noticeably different from the rest of their home, but our sunrooms avoid that problem completely. 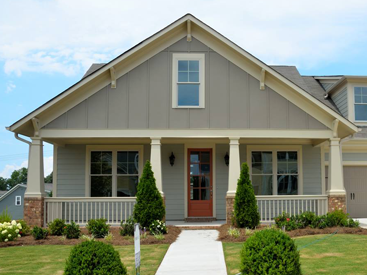 Composite materials are strong, but they’re also flexible enough to be nailed into, which allows us to use siding and other materials that match the exterior of your home. This means that your sunroom will look like it’s always been a part of your home! The advantages of a new sunroom don’t stop there — sunrooms can be used as a family room, a greenhouse for air-cleaning plants, a unique space for entertaining guests, and so much more! Sunrooms can even improve your health! Sunshine has been shown to improve your mood and reduce stress levels. Imagine starting your day by eating breakfast as you watch the sun come up, or ending the day by eating dinner with your family as the sun goes down! We can add screens so that you can open the windows and enjoy the fresh air in your gorgeous sunroom. 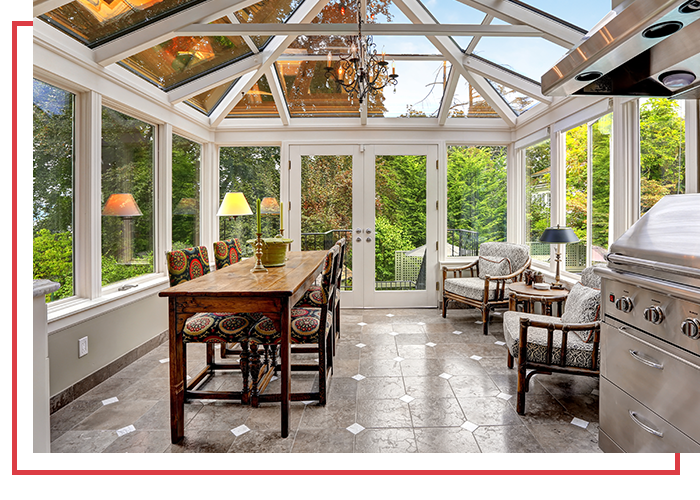 Adding a sunroom can lower your heating and cooling costs, saving you a substantial amount of money in the long run. Filling your home with natural sunlight is a more cost-effective alternative to using electric lights, and the majority of our customers find that they prefer the quality of natural light to artificial light. When it comes to energy efficiency, our sunrooms meet the definitive standards set forth by Energy Star, the National Fenestration Rating Council (NFRC), American Architectural Manufacturers Association (AAMA), and the National Sunroom Association (NSA). Moreover, a sunroom adds value to your home by adding square footage to your living space. It also protects your patio furniture from the elements, making it last much longer than it would if it was exposed to the elements. From improving your health to protecting your pocketbook, sunrooms provide you with a number of advantages you can’t get from any other home improvement projects. You’re Covered by a Lifetime Warranty! At Blue Springs Siding and Windows, we know that investing in your home is a decision that can’t be made lightly. You’re spending both time and money to improve your home, and you want to be sure that you’ve chosen the right team and products before you sign on the dotted line. We provide every one of our customers with an industry-leading lifetime guarantee on all products and services, providing you with the confidence and peace of mind you need to invest in your home. If you’re still not convinced that you need a sunroom installation for your home, we invite you to come by our showroom and view our products for yourself! We’re located right off I-70 between Woods Chapel Road and Highway 7 at 2201 NW Jefferson Street in Blue Springs. We’ll help you find the ideal sunroom for your home without exceeding your budget! We serve residents of the Kansas City area, including Lee’s Summit, Leawood, Liberty, and Overland Park. View our service areas and contact us today to get a free estimate on your sunroom installation!